North Dakota Legalization Opponents Get Big Out-of-State Bucks . Opponents of the Measure 3  legalization initiative are far out-fundraising proponents, thanks almost entirely to an out-of-state anti-marijuana group and in-state business groups. The anti-legalization SAM (Smart About Marijuana) has provided 100% of the funding for Healthy and Productive North Dakota, giving more than $50,000 in cash and more than $100,000 in in-kind donations, while a second anti-pot political action committee, North Dakotans Against the Legalization of Recreational Marijuana, has raised more than $116,000 from in-state business groups and political figures. Pro-legalization PACS have received only about $10,000 in cash and $14,000 in in-kind donations, with over half the cash coming from donations of under $100. Vermont Governor's Opioid Council Rejects Safe Injection Sites . Gov. Phil Scott's (R) Opioid Coordination Council released a report Monday in which it says that the risks of operating a safe injection site outweigh any potential benefits of reducing overdoses and getting more people in treatment. Safe injection sites are "not a viable option for Vermont," the report says. "They are illegal under federal law and highly controversial. Cost-effectiveness and neighborhood impacts are unknown. Most importantly, they have an unproven track record of harm reduction and for providing a pathway to treatment." Some state officials support safe injection sites, but the council concluded that more study on the sites' effectiveness is needed. 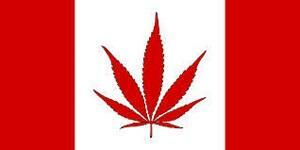 Canada Will Pardon People Busted With Less Than 30 Grams of Marijuana . As the country enters the era of legal marijuana, the government is moving to pardon people who were arrested for possession of less than 30 grams of weed -- the amount now legal for personal possession. People seeking pardons will have to apply for them.